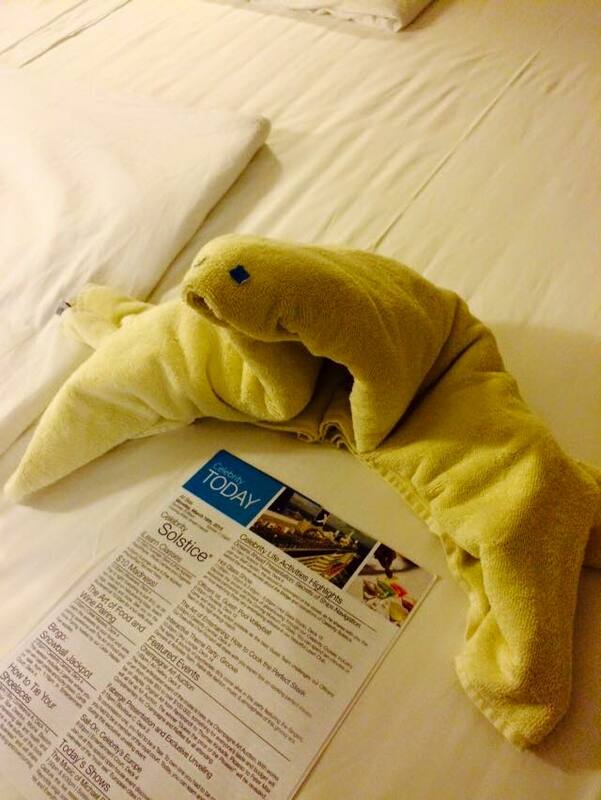 This is a bit of a catch up post about “things I saw”. March has been a busy month with work and recovery, a 21st birthday for a precious niece, and a holiday and a training course! 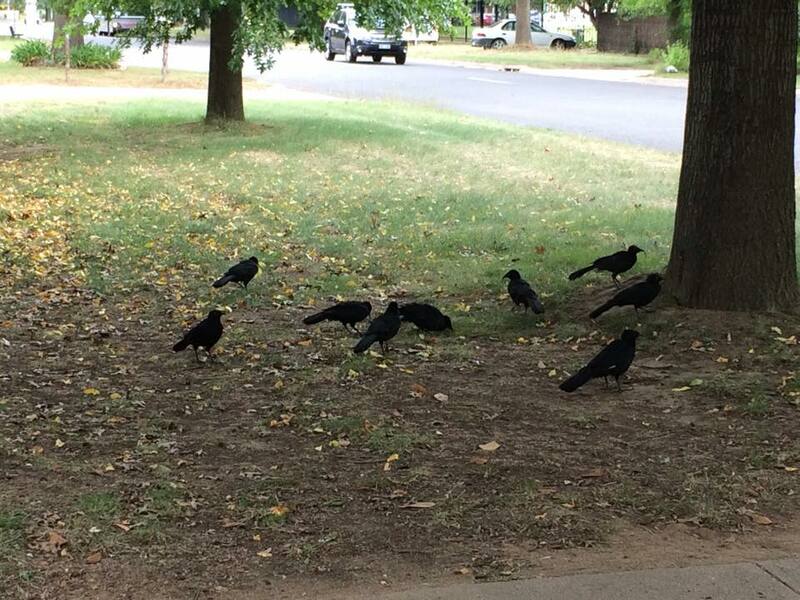 Is this a Murder of Crows or a Coven of Currawongs? They took absolutely no notice of me as a I walked past; there must have been something pretty interesting under that tree. 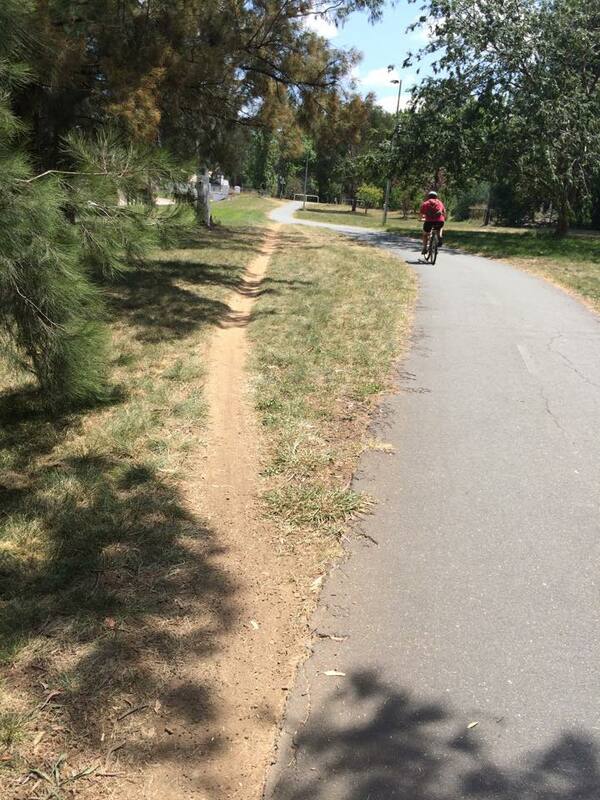 I love the way we take shortcuts and here are two I saw this month on the walk from home to work. 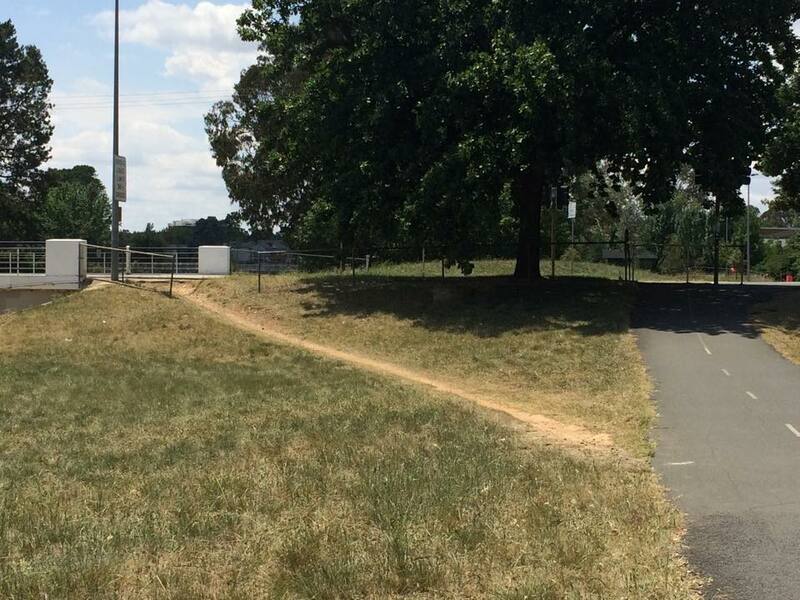 The first one shows the bike/pedestrian path curving ever so slightly, but no, we will not follow the road we shall create our own path; one that is straight not curved, thank you very much! The second one makes a beautiful triangular slice from bike path to street. When I was younger a friend lived on a corner block and every day schoolkids would walk across her front yard instead of along the path to turn into the next street. Her oldies were cross and got hot under the collar about this. “There’s a perfectly good footpath for them to use”, fumed her dad. “Yairs”, agreed her mum. Dad constantly threatened to string wire across so their grass would have a chance to come back; but they never did and I’ll bet kids are still cutting that corner. Spotted at the Wesley centre in Sydney. Say no more. and this…every morning when I woke and every evening I was so thankful for the opportunity to see the world, or a bit of it anyway, while others cooked for me, cleaned for me, and made it possible for me to be present and enjoying all that my holiday offered. In Sydney, I happened on Martin Place and I was reminded that just a few months ago three people were killed and more than a dozen people will live with the horror of the Lindt cafe siege for the rest of their days. There was a humble note taped to a post outside the cafe in protest to the despicable comments that Fred Nile, self-described “Christian”, made about some of the hostages who escaped the cafe before the siege ended. The note says “Fred Nile keep his mouth shut. Not a threat, a plea from decent Aussies”. And spotted in Brisbane this month, the smallest red carpet in the world, and in no uncertain terms, a sign that says “Dogs on skateboards who smoke and drink wine are not permitted in this area”.